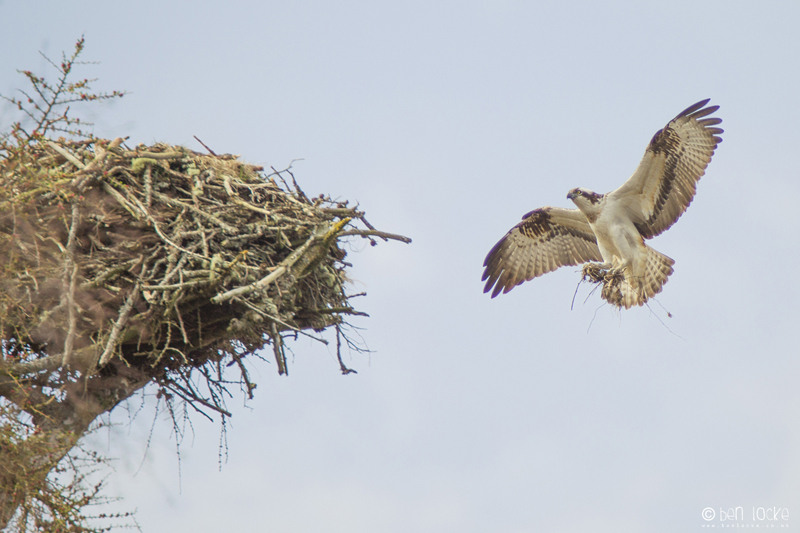 An Osprey returning with nesting materials in the Cairngorms, Scotland. This shot was taken at 600mm then very heavily cropped. The nest is on an island on a loch. It's a well known spot to watch Ospreys, and apparently when the young have fledged they will practice fishing amongst people canoeing on the loch.